The winner of the 2017 International Voice of Musical Theatre competition will this year be awarded an international medal, £1,500 and a trip to Australia’s Gold Coast to perform in The Musicale – the Gold Coast annual Eisteddfod’s showcase of rising musical theatre talent. Hopefuls can apply on the Eisteddfod competitors website http://eisteddfodcompetitions.co.uk/. The 2017 winner will follow in the footsteps of Carmarthenshire singer and actor, Gareth Elis, who took the title of Voice of Musical Theatre 2016 and performed as a soloist in 2016’s Gold Coast Musicale. The Musicale follows seven weeks of competition featuring over 70,000 singers and dancers, most of them under 20, and including 350 bands and orchestras, 175 choirs, almost 1500 dance groups and over 3,000 solo dancers. The festival’s Musical Director, Eilir Owen Griffiths, said: “To be able to offer this incredible opportunity to a rising star of musical theatre for the second year running is wonderful, especially as we celebrate our 70th anniversary and the Gold Coast Eisteddfod marks 36 years of festivals. 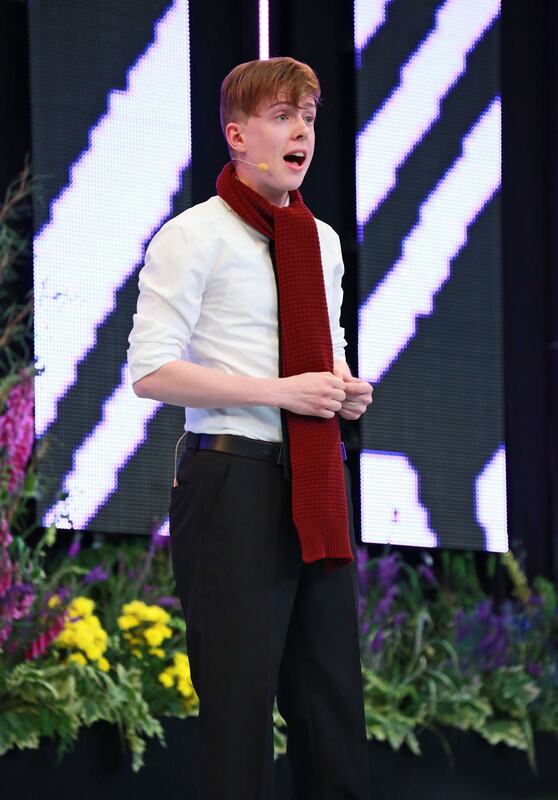 “Following the Gold Coast Eisteddfod’s visit to Llangollen in 2015 and International Eisteddfod winner, Gareth Elis’ performance at The Musicale last October, we have discovered such synergy between our two festivals. “The passion for music, performance and nurturing young talent is apparent both in North Wales and in Australia. The International Eisteddfod has always been about forging international links and friendships and we’re hugely grateful to the people at the Gold Coast Eisteddfod for this wonderful offer. Judith Ferber, the Gold Coast Eisteddfod’s General Manager, said: “We are extremely excited to see the talent that the 2017 International Voice of Musical Theatre competition will reveal. “Working with an event that shares our ideals of friendship, passion for music and performance and allows us to open doors for new and exciting soloists is a pleasure and an honour. Entries for the competition will close on Friday 3rd March. For the preliminary round competitors are required to perform two contrasting musical theatre songs within eight minutes, with all music sung in the original language. For the final, competitors will be required to submit a contrasting programme of up to 10 minutes of music. For more information or to request imagery, please contact nikki@thinkdewinter.co.uk or caitlin@thinkdewinter.co.uk or call 0151 363 8650.